Donald Wexler Design at the Rose Garden, Harcourts Desert Homes Open House. Listed by Curtis Anderson, contact him at 760-668-5550. The Rose Garden is a Donald Wexler design condo community in the heart of Palm Springs with sweeping mountain view and known for its casual and friendly lifestyle. Rose Garden condos are arranged around an oval-shaped road that rings the community and encloses its pools, spas and tennis courts within its center, giving the community the intimacy and privacy residents enjoy. Donald Wexler, known for his mid-century Palm Springs architecture, designed this community in 1980. 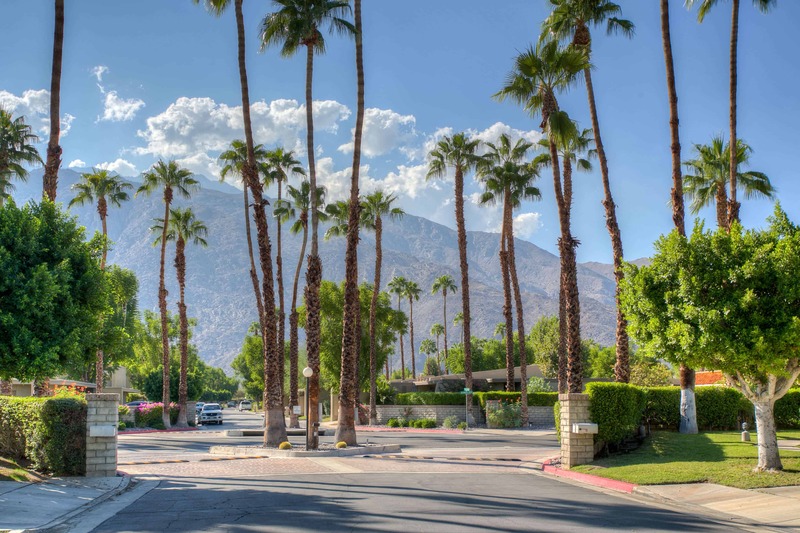 And its location can’t be beat in Central Palm Springs with downtown and neighborhood shopping, dining and activities. The contemporary kitchen is open to the living areas with a breakfast bar and serving area. Stainless steel appliances, glass tile backsplash, stylish cabinetry and modern lighting are all highlights of the kitchen. Both bedrooms give privacy to you and your guests. For more details on this Palm Springs condo for sale click here. This is a Donald Wexler design and Palm Springs living at its best.